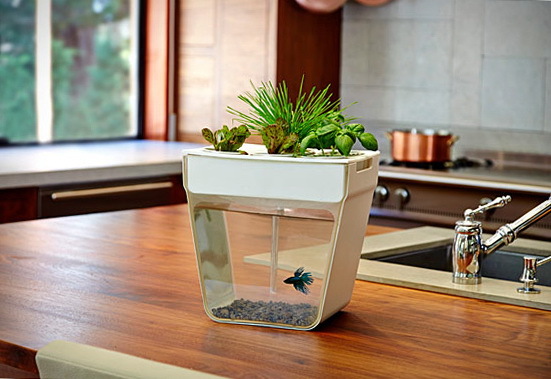 Aquafarm was born thanks to a very successful Kickstarter campaign, it is a Self-Cleaning Fish Tank that Grows Food. 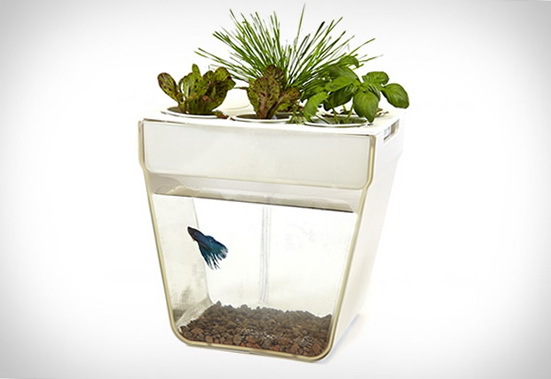 It features a clever loop eco-system, with fish waste feeding the plants and plants cleaning the water. 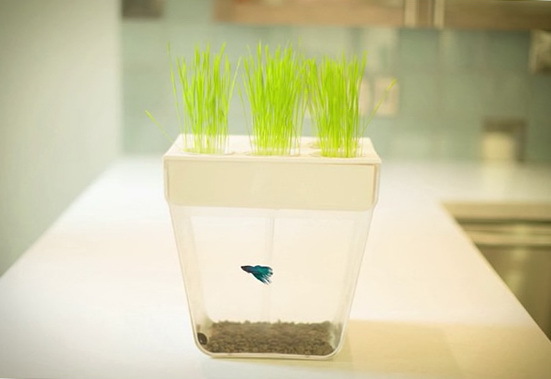 You can grow beans, basil, thyme, baby greens, oregano, mint, parsley, right on top of the fish tank, and with the science of aquaponics, the Aquafarm transforms your fish’s waste into nutrients for the plants. 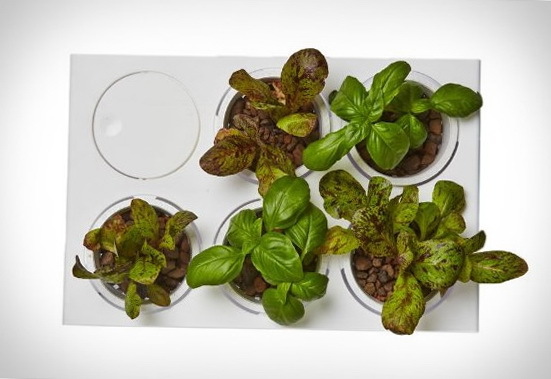 All this is happening without soil and without plant fertilizers.